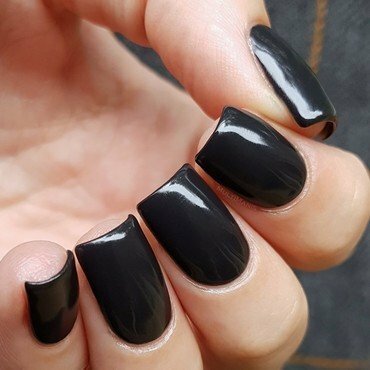 Two coats of black with a coat of SuperChic Lacquer - Marvel Liquid Macro Top Coat. 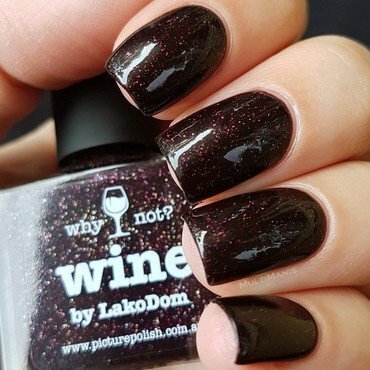 Two coats with a coat of SuperChic Lacquer - Marvel Liquid Macro Top Coat. It is way more holographic in direct sunlight. 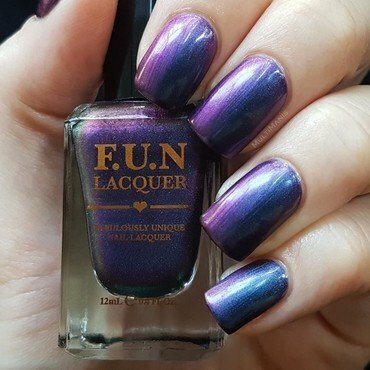 Two coats of purple with a coat of SuperChic Lacquer - Marvel Liquid Macro Top Coat. Picture was taken in lighting from daylight bulbs. 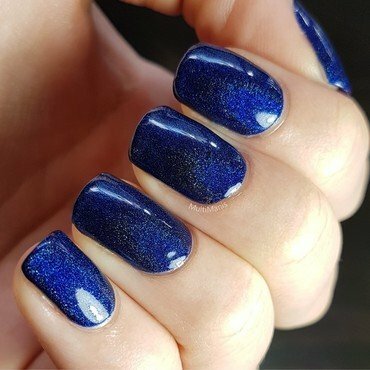 Two coats with a coat of SuperChic Lacquer - Marvel Liquid Macro Top Coat. 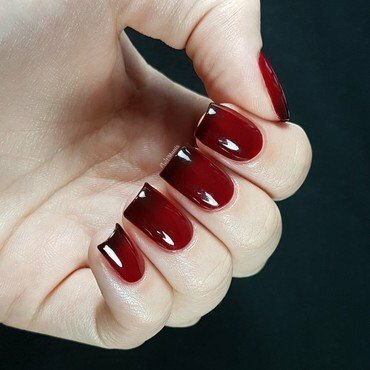 This, for me, is the kind of polish you buy when thinking: oh that’s a unique color, I don’t have anything like it yet! 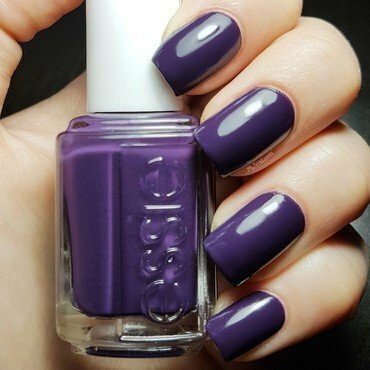 Then it arrives and you’re like: oh, right I didn’t have a color like this because I mainly wear darker colors and this is very light… However, when I put it on, I was in love again! The formula was a little runny, but it was very opaque: two thin coats is enough. A-England’s newest brush is also great! A wide, flat brush that is perfect for me to paint as fast, yet precisely as I want to. 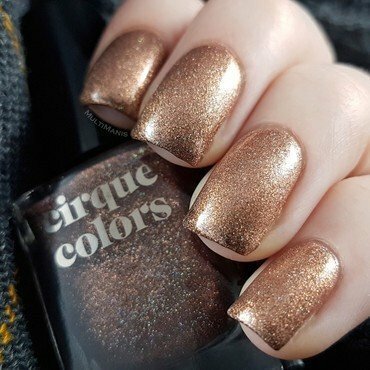 Anyway, the best thing about this nail polish is that it combines that really pretty, subtle multichrome shift with holographic! 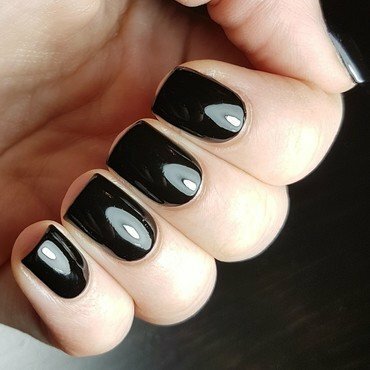 1 coat of black polish (cirque colors - Memento Mori) with a coat of Gravity. 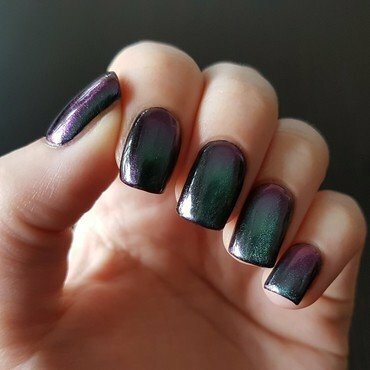 I used a rectangular magnet vertically on each nail. Topped with above mentioned top coat.